Sayer Kirk, 18, founded the Queer Fish Center to support LGBTQ youth in conservative Alamance County. When Sayer Kirk founded the Queer Fish Center in January, she knew there was a need for a supportive environment for LGBTQ youth. But she wasn’t sure how much support there would be in conservative Alamance County. In the wake of Donald Trump’s election and the aftermath of the HB2 fight, Kirk said, she could feel a shift toward people no longer hiding their homophobic and transphobic views. Kirk envisioned a place – maybe a small house – where young LGBTQ people could come together to support each other, plan activism, have access to a library of queer literature and wardrobe of donated clothing for transgender people who are transitioning. But the first step, she realized, was creating an actual 501(c)(3) charity – and that would take some money. She set up a GoFundMe page with a modest goal of $750. To date, the project page has raised more than $1,600. With funds raised to apply for status as a tax-exempt charity, any funding over the $750 ask is going toward books featuring queer characters, clothes for transgender clothes swaps, a group banner for pride events and eventually the permanent physical location Kirk originally imagined. There isn’t a strong history of activism in her family, Kirk said. But she was inspired to begin helping others because she felt lucky to have a supportive family when she came out as a lesbian. She knew that wasn’t everyone’s story. Her mother, Amanda Kirk, offered to take in that friend if he needed – a generosity and active engagement that inspired her. Having gotten a taste of activism with the Queer Fish center, Kirk has stayed engaged in the political fights now inspiring young people – particularly in the wake of the mass shooting in Marjory Stoneman Douglas High School in Parkland, Florida. Kirk helped organize a walk-out at Walter M. Williams High School, where she is a junior, to honor the lives of the 17 people killed at Parkland and raise awareness about gun violence. She faced some opposition from school administration, she said – who confiscated signs that had previously been approved for use in the protest. But faculty like Robin Farber, a Latin teacher Kirk said has been like a second mother to her, have encouraged student passion for change. Kirk said the greatest current threat she sees to Democracy is the dismissal of youth voices by those in power. The greatest hope for Democracy, Kirk said, is that an entire generation seems to be waking up from its apathy and conviction that they can’t change the world. From LGBTQ rights to gun violence, she said, young people are leading the way and their views will determine the nation’s direction. Editor’s note: This is the first in Policy Watch’s new series of profiles of the up and coming progressive activists in North Carolina. The movement to remove Silent Sam, the only Confederate monument on a UNC campus, is decades old. But in the last year it has gained new urgency and momentum, bolstered by young activists who have used social media and old-school coalition building to rally students, staff and faculty at UNC-Chapel Hill and the surrounding community. 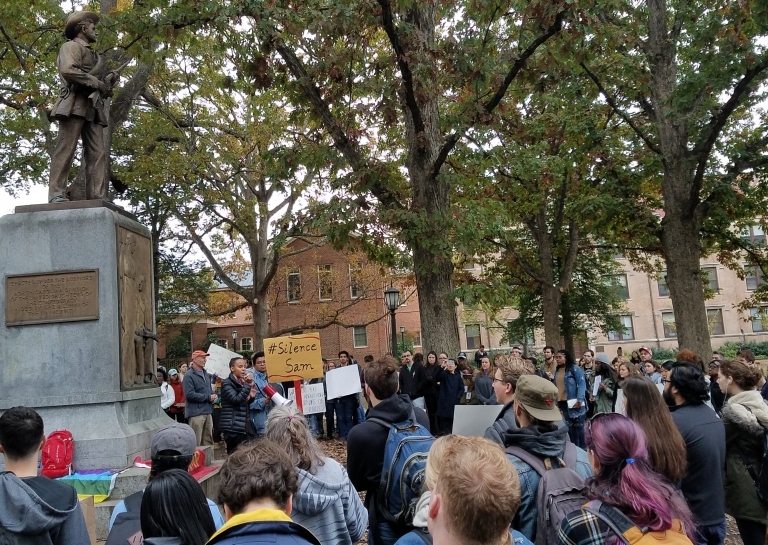 Brown’s activism extends well beyond the movement around Silent Sam. 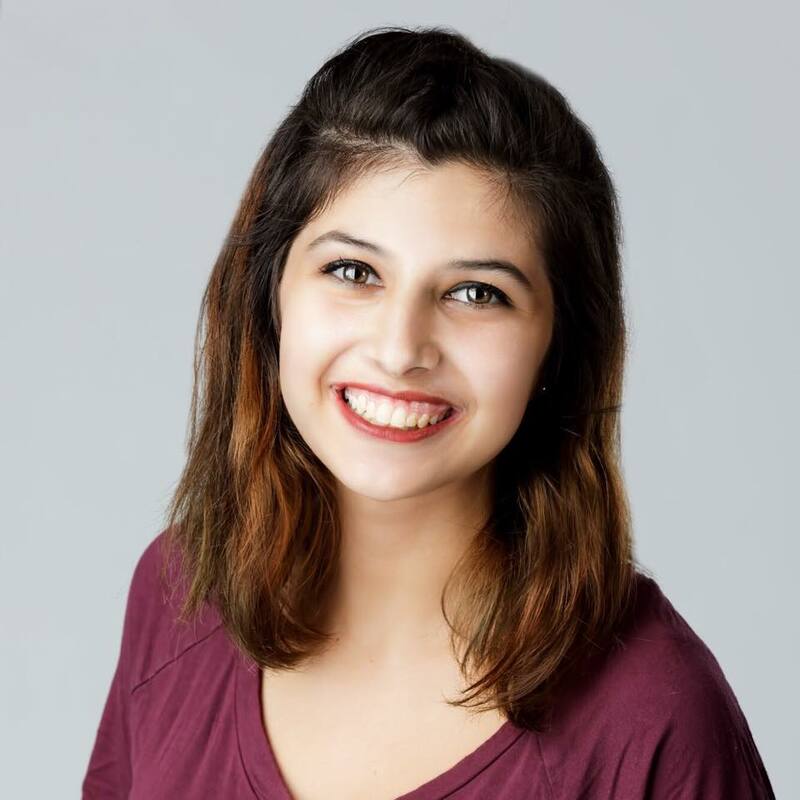 One of the most prominent voices in the movement in Michelle Brown, a senior at Chapel Hill majoring in Hispanic Literature and Culture and Women’s and Gender Studies. 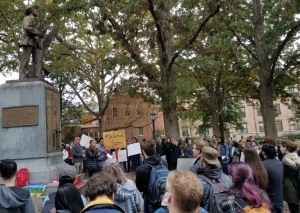 Brown became aware of the Silent Sam statue during her freshman year, when there were student rallies against it. But over the course of her four years on campus, she said she’s seen the movement to remove the statue become better organized, tighter knit and more effective in planning its demonstrations for maximum impact. Brown, 21, is now finishing up her senior year and looking toward graduate school, where she hopes to study public administration. But she’s also committed to her activism and community building, which extends well beyond the movement around Silent Sam. 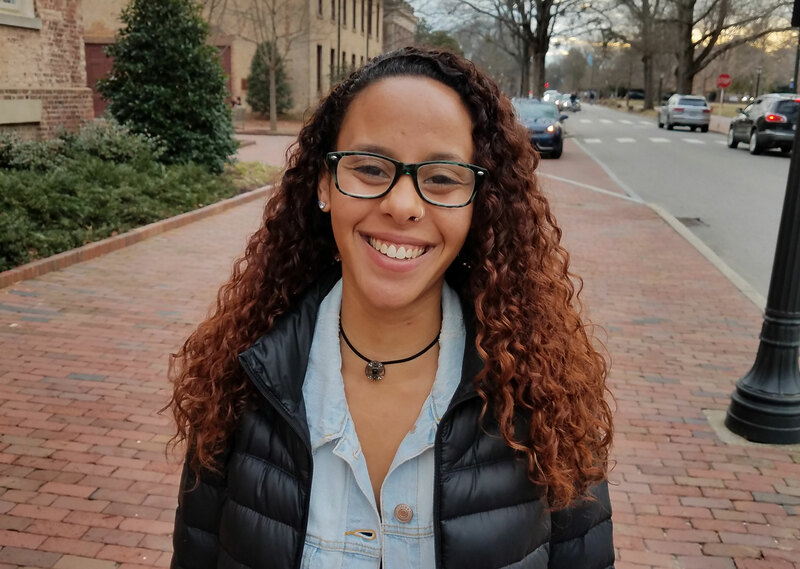 This month marks her fourth year helping to organize the annual Catalyst Conference, which brings 100 select high school students to UNC for a weekend-long discussion of social justice issues. The event is so popular that it got more than 500 applications this year, Brown said – a good sign for the future of progressive activism in the state.